The undisputed leader in no-holds-barred catch-as-catch-can wrestling, est. 2003. Check out the QUALITY content at ScientificWrestling.com! 3-Day Coaching Catch™ Certification ONLY $250 for prior attendees…! Experience the ONLY coaching certification co-designed and explicitly endorsed by the legendary Billy Robinson!! -Become a member of the most prestigious & proven catch wrestling coaching certification in the world, the only with a curriculum co-designed by Billy Robinson. -Certification and listing on the CoachingCatch.com site. !!!!NOTE!!!! 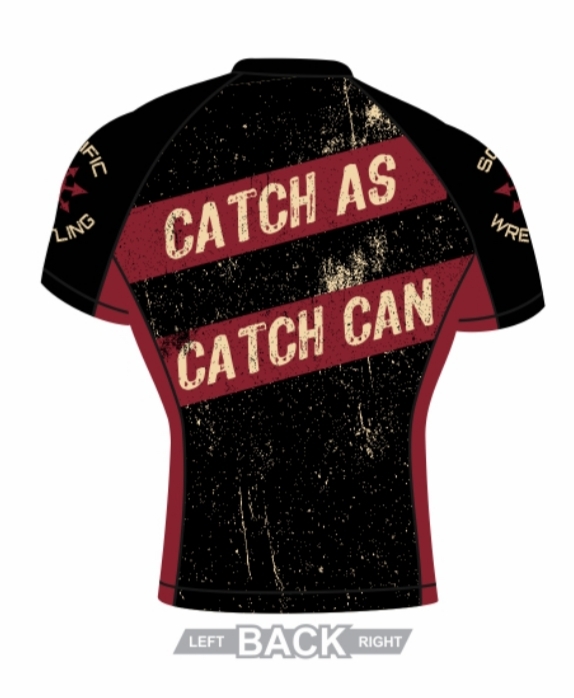 : If you’ve ever attended a Certified Catch Wrestler camp in the past (going all the way back to our beginning in 2007) you are eligible for our LOYALTY REWARD discount! You’re 3-day Coaching Catch camp experience is only $250! Also, IF you bring more than yourself, you will receive $100 for every new attendee that registers and attends!! When I started ScientificWrestling.com in 2003, DVDs were the standard medium for wrestling instructionals. 15 years later, DVD players are hard to find in most homes since most people now just stream content directly to their laptop or smartphone. It has taken substantial time, money, and effort BUT we finally transferred ALL of our highly acclaimed grappling instructionals to Video-On-Demand! This means that whenever you decide you want to learn from Scientific Wrestling legends like Karl Gotch, Billy Robinson, Wade Schalles, Yoshiaki Fujiwara, Josh Barnett, etc. you can! You can purchase the instructionals permanently or rent them and no shipping expense or wait! Also, you can watch them on the Vimeo app on your phone in the gym, on the bus, at work, anywhere! Remember, if you want our complete library (including the massive Fighting Library and the exclusive Scientific Wrestling t-shirt) remember the Complete Catch Wrestler package! You won’t find better information or coaches anywhere! 8/3 is the birthday of Karl Gotch, aka “Kamisama” (i.e., which means “God of Wrestling” in Japanese). CatchWrestlingU (a really informative blog if you’re interested in catch, both exhibition and competition) has started celebrating Karl Gotch Day on his birthday, August 3rd. Following his lead, so have I and I sincerely hope you begin to do the same! In the meantime, to remember Karl check out this collection of conversations I had with the legendary wrestler. Click here to listen to my chats with catch-as-catch-can legend Karl Gotch. To watch video of all the bouts, scroll down. I’ve dedicated the last twenty years of my life deliberately studying and reviving the sport of catch-as-catch-can wrestling and last weekend was a spiritual experience for me. I am so unbelievably grateful to have witnessed what I did in New Jersey on July 14th, 2018. The sheer amount of heart shown by every wrestler on the card last night was unearthly. If you love CACC like me I sincerely wish you could have been there to witness it in person. It was truly special. Big congratulations to Curran Jacobs. He’s normally a handsome actor but this is what he looked like after winning. His tenacity and grit won although many felt he stalled and escaped under the ropes excessively (something we will be addressing in future shows with some rule changes). As Karl Gotch always said, “conditioning is your greatest hold”. In this case that doesn’t just mean just conditioning the heart and lungs, but inoculating the body against a lot of pain too. Jacobs endured a long hazing by several larger, more experienced grapplers for a hellish 19, 5-minute rounds by waiting for his opponents to tire after tossing him about, then he’d slither behind them for a sleeper hold (somewhat reminiscent of a young Royce Gracie). Congratulations to every man and woman that wrestled at both the open and the invitational. Everyone was on the edge of their seat all night. I know Billy Robinson, Karl Gotch, and all the old timers that loved this sport would have been tickled to see this. Everyone had enormous heart. Beefs were squashed through the love of this sport tonight. Hats off to Joel M Bane (and his incredible wife) Anastasia for pouring their hearts into the show. I hope everyone gets to see a show like this sometime in their life. Honestly, you had to have been there. Can’t wait for everyone to see it. A sincere thank you to everyone who was there in NJ in person to support the most prestigious event in CACC in nearly a century; The 2018 Unified Catch-As-Catch-Can World Championships. The stars of the show shined bright; Brandon Ruiz, Kenny Faafetai Lester, Erik Arevalo, Johnny Buck, Patrick Stano, Jon Zang, & Nick Caggia really gave their all. People came from all over the world (as far as Japan) to witness the complete rebirth of this sport, plus to have MMA legend Josh Barnett in attendance supporting was incredible! Also thank you Jim McCann for being a gracious host. After this show, I would put the sport of catch-as-catch-can wrestling (and our no-holds-barred ruleset in particular) up against UFC or WWE anytime (we are looking for investors/producers that share our passion and vision for the sport so please email any leads my way)! There is absolutely no reason CACC couldn’t be bigger than both MMA and “Sports Entertainment” combined. I mean this with all my heart. I have a renewed vigor to continue growing this sport and I am truly optimistic, maybe for the first time in 20 years, for CACC unity and the future of catch-as-catch-can wrestling. Ps. Another epic tale from this event that should not go unnoticed were the efforts of Mary Almario from California (UWFxUSA). This game-as-hell athlete was the ONLY woman to enter the Billy Robinson Classic open tournament and she did an amazing job fighting all male opponents! Hope we get more tough female talent like her at the next event! Pps. For me personally, the most amazing aspect of the evening was how our brutal sport of CACC lead to respect and love afterward (note: there was real bad blood and acrimony prior, largely due to Jacob’s well-documented four years of slander and harassment of MMA legend and CACC ambassador Josh Barnett). These two top-tier athletes at opposite ends of their wrestling careers showed the world what real guts looked like in a final that truly deserves to be in the history books. Ppps. Last, but certainly not least, I want to express my gratitude to SnakePit USA Head Coach Joel Bane. I am so proud of what he has accomplished and what he had to overcome to make this show happen. I was thrilled when he asked for my help organizing and booking. After the smashing success of this event, we are committed to unifying the sport via the first joint promotions so that CACC will advance together under proven leadership. Stay tuned! Pppps. We learned a lot with this test show. First, if we want to make a truly professional sport, it must be able to sustain itself financially and the largest driver of said financial sustainability is ticket sales. Unfortunately, we drew little more than 100 paying attendees. Effective immediately, we are implementing rule changes to eliminate stalling since this made many of the matches go on too long without significant action (i.e., it isn’t commercially viable). Click here and scroll down to see the newly upgraded ruleset! We want to use the Grand Prix titles to determine our World titles but World Champions must defend otherwise they must be stripped. Unfortunately Curran opted not to defend once we made a match vs. Josh “StarLord” Leduc so life moves on to more game/hungry athletes. After asking Jacobs to compete several times he got weird, said refused, and said of we had anything further to say to say it to Randy Couture’s lawyer lol. What else could we do? Everything was very cordial until then he abruptly flipped and started unfairly slandering us (not all that different than the precedent he had demonstrated with Josh Barnett for 4 years prior). We had to go so far as serve him a cease and desist for libel/slander. He seemed to have a bad combination of not understanding the basics of the business (e.g. he thought he could take our title and start his own promotion. Even my 6 year old understands that the championship belt stays with the promotion and that champions must defend or be stripped) combined with unreliable and unprofessional behavior. Before the title was vacated Curran asked to wrestle Gordon Ryan who, like Leduc, has serious grappling accolades but quoted us $6k to show. As a start-up we simply didn’t have that much in our budget so we started scouting for someone with a similar style as Gordon but that wouldn’t destroy our budget. Several independent sources highly recommended Starlord so we signed him. Unfortunately, after committing to Starlord, the grand prix winner refused to wrestle him and ghosted us. It was highly unprofessional and jeopardized what all of us, in-the-ring and behind-the-scenes sacrificed and worked very hard for. To honor our agreement with Leduc to wrestle for the title, we then approached the game Brandon Ruiz, who accepted in a heartbeat (maybe faster, lol). Anyway, the booking was made, all as a result of trying book a very tough challenger. Murphy’s law must have been in effect. We liked Curran for the short time we had direct dealings with him but he seems like a troubled young man in some ways and until he gets that sorted and can make amends there is absolutely no reason to put our efforts to see to top-tier grappling talent compete under our NHB CACC rules in jeopardy by trying to work with him again. We sincerely do wish him the best in his future endeavors. As a business seeking sustainability and growth, it’s important for us to draw as many fans and sell as many tickets as possible. 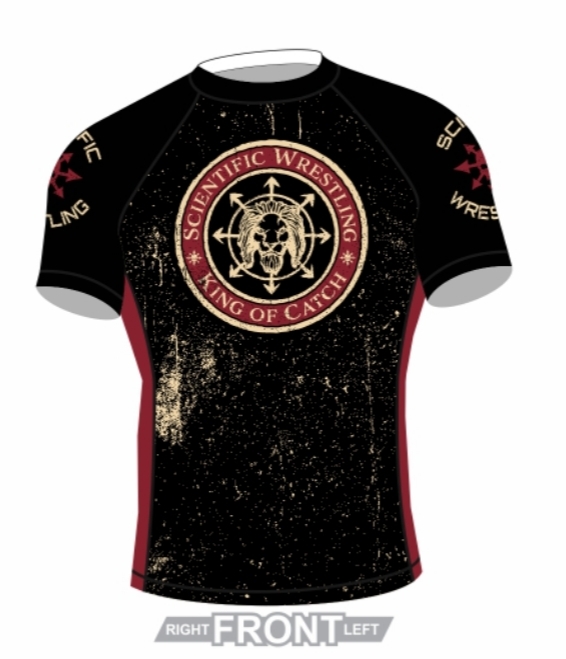 We’ve learned our lessons, some the hard way, and we’re doing the very best we can (which I think is pretty good especially if you see the caliber of athletes on our roster ((https://www.kingofcatchwrestling.com/athletes), the PPVtech, branding, etc. that we’re bringing to the grappling vertical). Just wait until you see the talent we’re waiting to unveil! Exciting times for a very old sport. Thanks for caring and taking the time to read the details, hope it helps! -Can Catch Wrestling implement a ranking system? “Jake is the creator of the first Macebell. He’s an entrepreneur, author and founder of Scientific Wrestling. This live interview took place on January 9, 2018 on Facebook.